Shelia Kaplan and Marilyn Berlin Snell, writing for The New Republic, outline Alaska Governor Sarah Palin’s environmental record. Unfortunately, as governor of a state with a birth-defect rate that’s twice the national average, and which has the gloomy status as repository of toxic chemicals from around the world, Palin has pursued environmental policies that seem perfectly crafted to swell the ranks of special-needs kids. It’s true that Alaska’s top leaders have placed industry wishes over environmental protection for years. But, instead of correcting this problem, she’s compounded it. Peer into her environmental record, and Palin ends up looking a lot like George W. Bush. In the past 20 years, research has shown that exposure to some metals and to chemicals such as pesticides, flame retardants, and polychlorinated biphenyls (PCBs) can cause birth defects and permanent developmental disorders both prenatally and in the first years of childhood. 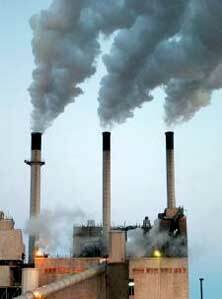 And Alaska is vulnerable to some of the worst environmental pollutants out there. In a state whose wealth depends on the exploitation of its natural resources, the toxic byproducts of mining and energy development, such as arsenic, mercury, and lead, are particular problems. Alaska Natives, such as the Inuit people, eat a diet that is heavy in fish, seals, and whales–animals that are high on the food chain and therefore more likely to be contaminated with high doses of PCBs and mercury. And the state is vulnerable not only to homegrown pollution, but also to industrial pollution: Trace gases and tiny airborne particles are contaminating the polar regions, carried there on atmospheric and oceanic currents, according to the National Oceanic and Atmospheric Administration. The mess of pollutants in Alaska has clearly taken its toll. In general, the state has double the national average of birth defects. While the causes are unknown, environmentalists point to the region that includes the North Slope, an area slightly larger than Minnesota, where most of Alaska’s oil is produced. The byproducts of oil production can cause serious nervous system disorders, and the North Slope and its environs, home to Alaska Natives and itinerant oil workers, has the highest prevalence of birth defects in the state–11 percent–compared with 6 percent statewide and 3 percent nationwide. Palin, however, has not addressed these concerns. Her administration irked environmentalists in February 2008, when it opposed legislation that would have given parents at least 48 hours’ notice before schools were to be sprayed with pesticides and other toxic chemicals. Currently, parents get 24 hours, which the bill’s proponents say is not sufficient for parents who want to arrange to keep kids out of school for a few days after the chemicals are applied. Palin’s administration argued that the bill was too restrictive and would force schools to notify parents before cleaning toilets with disinfectant–which, supporters say, is not true. In the same month, members of Palin’s administration testified against language in legislation that would have banned polybrominated diphenyl ethers–a flame retardant that, studies show, harms the developing brain. 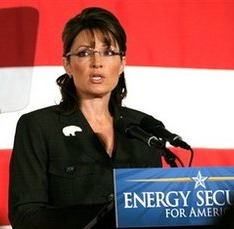 Then, in the summer of 2007, Palin allowed oil companies to move forward with a toxic-dumping plan in Alaska’s Cook Inlet, the only coastal fishery in the nation where toxic dumping is permitted. The Bush administration initially OK’d the companies’ request to increase toxic releases, but the permits could not be issued without Alaska’s certification that the discharges met the state’s water-quality standards, says Bob Shavelson, executive director of Cook Inletkeeper, an organization founded to protect the area’s watershed. Palin complied. “Palin’s Department of Environmental Conservation issued that certification [based on] the long-discounted notion that ‘dilution is the solution to pollution’–turning the federal Clean Water Act on its head and actually increasing toxic pollution,” Shavelson says. Palin next took on the Clean Water Initiative, also known as Proposition 4, which appeared on the Alaska ballot on August 26. The measure would have limited the runoff of toxic metals–known to cause developmental and birth defects, according to the Centers for Disease Control and Prevention–from all mining operations, but it was aimed at stopping the proposed Pebble Mine, a huge mining proposal that was controversial for its potential impact on Bristol Bay, the world’s largest commercial wild salmon fishery (for which Palin’s oldest daughter was named). The project had been in the works for years, and, when she ran for governor in 2006, Palin told the Alaska Journal of Commerce that, if the mine was green-lighted, “there will be remediation from now to eternity.” Once in office, though, environmental concerns took a backseat. In a TV interview six days before the vote, Palin said, “Let me take my governor’s hat off for just a minute, and tell you personally, Prop 4–I vote no on that.” Alaska’s mining industry parlayed Palin’s face and words into an advertising blitz–and came from behind to defeat it. Palin’s latest anti-environmental effort also came in August, when she attempted to block California’s plan to curb its air pollution. The Golden State is trying to reduce its toxic emissions with a port fee that would pay for pollution-reduction projects around the state. Arguing that it would hurt Alaska’s economy, Palin asked California Governor Arnold Schwarzenegger to veto the proposed legislation. But critics say the Army is taking too long, and that its plan will leave too many untreated chemicals, PCBs in particular, at the site. According to Pamela Miller, ACAT’s executive director, Palin should have used her powers as governor to forge a better cleanup plan. “Certainly this was also a pattern in the Murkowski administration, but, under Palin, it’s gotten worse,” she said. “Her administration has done nothing to work with the military to avoid possible contamination.” Scientists have also opposed the Army’s plan, saying it will leave the area dangerous. Andrea Doll, a Democratic state representative from Juneau, says she tried to get Palin interested in her bill on flame retardants early on: “I told her about the bill. She totally was not interested in any way, shape, or form. It was that look on her face–that ‘don’t even go there’ look.